Humpback whale foraging visualization video online! We are excited to share with you below our new open access resource for teaching to help communicate science through data visualization. Kaitlin Bonaro, a visiting undergraduate student at the Duke University Marine Lab, created this video as her independent study project this past spring in the Johnston Lab. 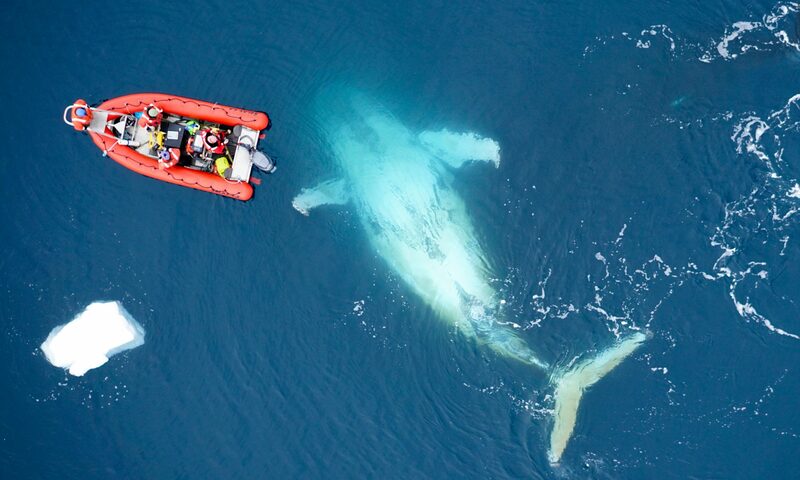 With the help of Dave Johnston and myself, she skillfully translates scientific data on humpback whale foraging behavior, collected for my dissertation research, into a form of communication accessible to everyone: students, teachers, scientists and nonscientists alike. 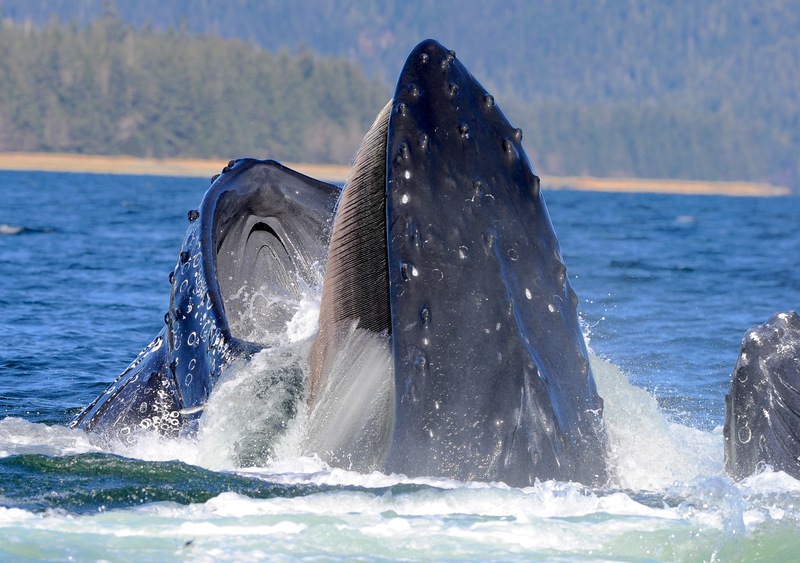 Viewers can watch and learn how tags are deployed on humpback whales feeding in Southeast Alaska and how prey data are collected around the whales. Footage from a camera attached to a whale’s back (“Crittercam”) as it dives and ascends is linked to a three-dimensional data visualization of a whale’s feeding dive, allowing for a true sense of what a whale experiences underwater. Lunge (gulp) feeding is explained in detail through a diagram and underwater and surface footage of whales’ feeding. A representation of the whales’ prey, krill (a small shrimp-like crustacean) and herring (a small schooling fish) appears as a field of colors marking different densities, and the whale’s dive track can be seen within this prey field. A variety of feeding behavior are described and seen through a three-dimensional visualization, making it clear how whales use different techniques to exploit their prey. There’s some pretty amazing video and still images of whale group feeding at the surface, where the filter-feeding apparatus, “baleen” can be seen in action as herring are trying to escape the gaping mouths. As if this isn’t enough, whale vocalizations recorded during a group-feeding event are played simultaneously with the three-dimensional whale behavior reconstructed from tag data. The intensity of the calls increases before the whale finally breaks the water’s surface and the call ends. Our intent with creating this resource was to share our research with a broad audience in a compelling manner, in addition to creating a unique tool for teaching whale feeding behavior. We hope you will find it useful and share it with your friends and colleagues.